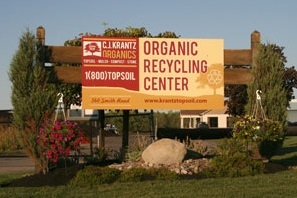 C. J. Krantz Inc was started in 1939 by my grandfather Chester John Krantz and Great Uncle William Krantz. It was originally located on Millersport Highway @ the 290 where the Toyota Dealer is. The primary function of the business was simply delivering topsoil in the summer and selling firewood in the winter. Chester was a text book tough German. He ran the business until 1990 when he retired and my Dad took over. Chester died of Lung Cancer shortly after he retired. Tom Krantz (my father) Born in 1947, grew up in the business all his life. He was a great baseball player growing up. However, his work ethic overshadowed his play ethic so at a young age he made the decision not to pursue baseball and focus on the family business. To this day I wonder how his life may have been different if he stuck with baseball. Tom met his wife Bonnie who lived only a mile away, fell in love and married in 1968. Along the way they had 3 boys: Tim, Jeff and Michael. We were given the best childhood growing up. The thing I remember most is how great my parents made Christmas for us growing up. Each one was better than the next. My Dad worked very hard to give us everything we needed and more. In 1998 My Dad was experiencing headaches a lot. At first he thought his vision prescription was wrong but it was much worse than that. After a Cat scan it was discovered he had the worst case Brain tumor you can get. He fought hard to survive going through 2 major Brain tumor removals but after a year and a half the tumor would just keep coming back and finally took his life in March 1999 at a young age of only 52. Fortunately the story isn't as sad as it could have been. That is because years before he developed Brain cancer, my Dad asked Jesus to come in his heart and forgive him from his sins. At that moment my Dad secured a home in heaven for all eternity. That is where he is living right now in a body free of cancer. I often asked God why he allowed my Dad to die so young? The answer I believe is: because there were others who came to know Jesus because of his death. Had he not got cancer, those people may have never got a chance to hear how Jesus can save you from your sins and give you the free gift of a home in Heaven. That could probably be said for anyone suffering through hard times right now. God has a plan for everyone and sometimes uses difficult circumstances to guide us towards knowing him and his son Jesus. I'm by no means qualified to be a preacher but if you are reading this I would ask you to ask Jesus to forgive your sins and take control of your life. The Bible says in Romans 10 verse 9 "That if you confess with your mouth, Jesus is Lord, and believe in your heart that God raised him from the dead, you will be saved." That is the only way any of us have any chance of going to Heaven. In 1999 my beautiful wife Kim and I took over C.J. Krantz after his death. My younger brothers had other interests and did not choose to work in the family business. Kim and I have been blessed with 2 great kids; Jacob 21 years old and Kali 19 years old. Jacob is an aspiring Movie director and Kali loves anything related to animals. Fortunately like my father before me, I also grew up working this business from a young age so I was well equipped to take things over when my Dad passed away. As the years past we have grown the business by expanding into more elaborate Topsoil products by mixing Peat moss, Composts and Organic materials to really give our Company an edge in the market. We were the first company in the Western New York market to make "Organic Nutrisoil" and it didn't take long for the other companies to catch on to the popularity of the "Organic" wording and develop other products to compete with ours. 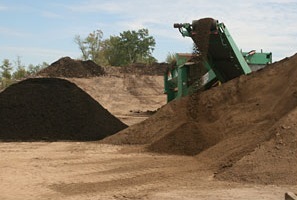 In 2012 we were blessed with the ability to purchase the Town of Amherst Compost facility in East Amherst. This addition to our company has been the best thing that has ever happened to us and we owe it all to God who put all the pieces together like only he could. It has provided us the opportunity to expand our customer base and create more high quality products to sell in W.N.Y. In addition; we also help recycle materials that would otherwise end up in landfills but instead are made into useable Organic products. 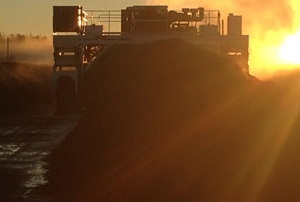 A number of years ago we invested in the Largest Topsoil storage facility in the area. We have the capability of storing over 4000 cubic yards of soil inside, protected from the wet weather. The success of C.J. Krantz since my Dads passing has a lot to do with the great staff we have working here. So many of our workers have been here for a long time and when you have a family of workers that know what to do and when to do it , it makes for a pleasant work environment. Our office staff is the friendliest and most helpful in the business, our drivers are experienced, courteous and careful when on your property and our Yard Crew is the most efficient you will find anywhere in getting you loaded and back on the road in usually 7 minutes or less. When you arrive here to purchase your product it is already made and waiting for you. There is no waiting in line to get under a machine to screen topsoil for you wasting your valuable day. Our philosophy is: Here in Western New York there are only a limited amount of great weather days in the season so why waste our customers time making them wait to get what they want. I have to confess, I can't stand waiting, so why make my customers do something I despise? I'm glad you have taken the time to check out our new website and Thank you for supporting this 3rd generation family business for 80 years. We could not have done it with out you.